Download this free eBook to learn the best ways to get your child to listen to you the first time. Find out why your typical ways of giving directions don't work and lead to frustration. 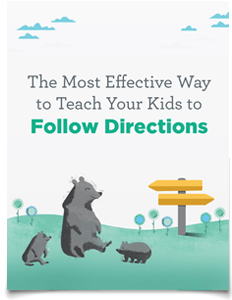 Discover parenting skills for teaching your child to follow directions so they obey you the first time, resulting in a calmer, happier home. Get a free worksheet for tracking your improved ability to give clear directions.